The 31 Squadron RAF Association was started several decades ago by former 31 Squadron members who wanted to keep in touch with each other. Since that day the Association has grown in strength to its current membership level of nearly 400 members that is both Air and Groundcrew. Our Association has very close ties with the current Squadron and annually we hold a formal weekend to catch up with each other. 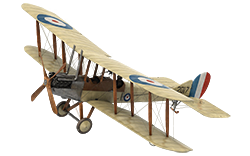 This website is another method of keeping up to date with the news and goings on of the Association and the Squadron. Why join our Association ? Star News is the Associations magazine which features stories from the past and current Squadron news from the Front Line. The magazine is in a digital download format. 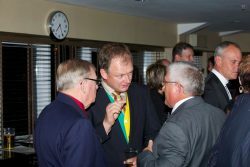 The 31 Squadron Association currently has over 350 members and is a great way to keep in touch or reconnect with old friends. We hold an Official Reunion yearly. Browse the Squadron history and if you become an Association member you can view more images in the gallery which contains many images of 31 Squadron all over the world. By joining the Association you are help us maintain our support to past and present members of the Squadron. It's about friendship and maintaining those links though annual reunions. 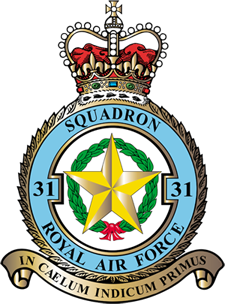 You get full access to all areas of the website and 3 times a year we issue Star News our newsletter full of stories about 31 Squadron past and present. You also are entitled to attend the Reunion as this is a members only function. We provide 3 Newsletters a year and these current cost approx £500 per edition. Also we provide support to members in times of trouble and have provided gifts for the Squadron such as the memorial stone at the NMA. You can pay for your membership online with your credit card, debit card, or via Bank Transfer. We do also accept cheques and if you wish to pay this way please use the contact form to let us know.